ANAHEIM, Calif. — Los Angeles Angels two-way rookie Shohei Ohtani will have Tommy John surgery next week. Ohtani won't be able to pitch for the Angels in 2019, but he is likely to hit at some point early next season. When asked whether Ohtani is likely to be ready for opening day as a hitter, Scioscia said there are "too many variables" to make a confident prediction. 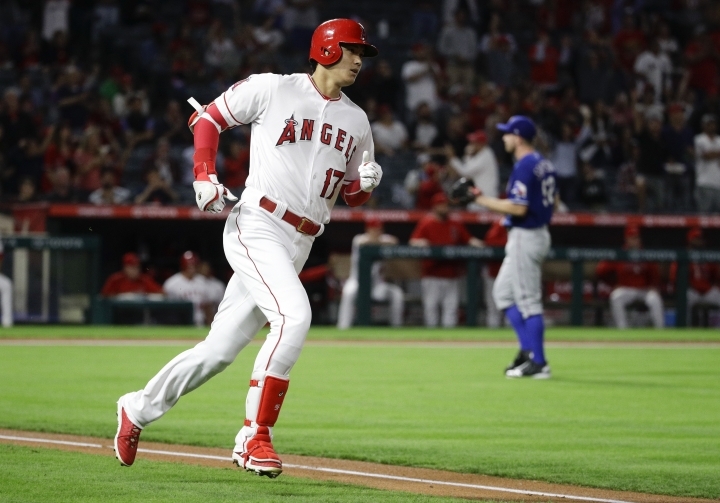 Ohtani wasn't available to reporters before the game, but Scioscia confirmed general manager Billy Eppler's earlier statements that the Angels are committed to Ohtani's determination to be a two-way player in the majors. "It obviously puts him out of pitching in 2019, but he'll be able to hit, and I think he's at peace with that," Scioscia said. "He wants to excel at both phases of the game. The fact he can't pitch (next season), there is a little bit of a void. But he'll be able to hit and focus on that." Ohtani went 4-2 with a 3.31 ERA and 63 strikeouts in 10 mostly outstanding starts for the Angels, but he has pitched just once since early June after developing a strained right elbow. He returned to the mound Sept. 2 but incurred more damage to his elbow ligament. The 24-year-old Ohtani has continued as the Angels' designated hitter. He is batting .280 with 56 RBIs after hitting his 21st homer Monday. Ohtani is a top contender for the AL Rookie of the Year award despite his truncated pitching season. With just 347 plate appearances, he is leading all AL rookies in on-base percentage (.361), slugging percentage (.564) and OPS (.925), while his 21 homers are fourth among AL rookies. He is the first player in major league history to hit at least 15 homers and strike out at least 50 batters in a single season, and he joined Babe Ruth as the only players ever to hit 15 homers and pitch 50 innings. Ohtani and Ruth are the only players since 1900 to hit 10 homers while winning at least four games. 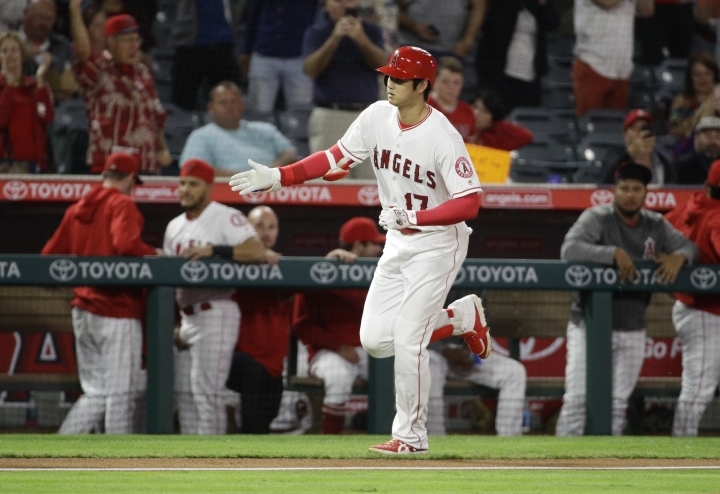 Ohtani also has set the big league record for homers by a Japanese-born rookie, surpassing Kenji Johjima's 18 homers in 2006.